1, What is Trade Assurance? Your payment is protected up to 100% of an amount – agreed between you and the supplier – called the Trade Assurance Order Amount. 2, How does it protect my order? · Your order is not shipped on time as stated in your contract. · Your products do not meet the quality requirements stated in your contract. 2.1. The product quality must be checked before shipment. 2.2 This feature is optional. You must enable it when you place your order. 3.1. Disputes for any reason other than late shipment or failure to meet pre-shipment product quality requirements as agreed in your contract. 3.2. Goods damaged during shipment or pick-up. 3.3. Goods which were shipped on time but did not arrive. 3.4. Product quality issues after shipment. 3.5. The following product categories: Vehicles, Real Estate, Websites & Businesses for Sale, Classified Ads, Services, and some Business Equipment. 3.6. For a full list of exclusions, please check the Terms & Conditions. Look for the Trade Assurance icon and the supplier’s Trade Assurance Limit. – Agree on the Trade Assurance Order Amount and shipping time. – If you selected the pre-shipment product quality safeguard, you should also negotiate your detailed product quality requirements. – Place an order on Alibaba.com by clicking Start Order or ask the supplier to draft a Trade Assurance Contract. – Enter your Trade Assurance Order Amount and shipping date. – If you selected the pre-shipment product quality safeguard, you should also enter your detailed product quality requirements. – Confirm the Trade Assurance Contract in My Alibaba. 5. How to submit a claim? What should I do if my order isn’t shipped on time or doesn‘t meet the quality requirements? 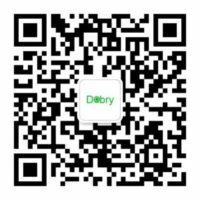 Submit a claim on Alibaba.com. Alibaba.com will contact the supplier and encourage them to reach a settlement. If the supplier fails to respond within 5 days or you cannot reach a settlement within 15 days, you may file a request for Alibaba.com to make a determination. If the supplier is found to have breached the contract, you will receive up to a 100% refund of your Trade Assurance Order Amount. · Alibaba evaluates every supplier based on their trade history and qualifications to establish their Trade Assurance Limit. · Ali provides a feedback mechanism so you can evaluate suppliers based on the experience of other buyers. · Ali provides you with customer service support throughout the sourcing process. · Ali refunds up to 100% of your Trade Assurance Order Amount if the supplier breaches their shipping time or product quality obligations as per your contract agreement.